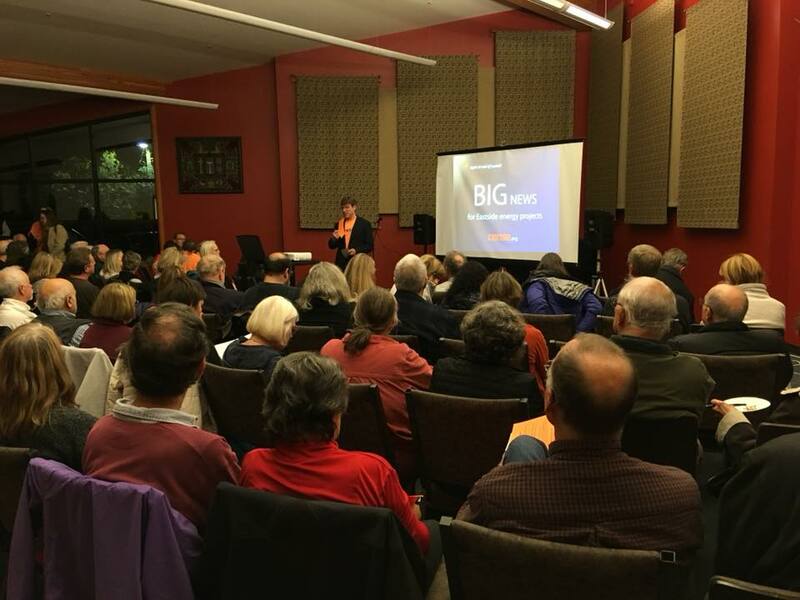 We had a great turnout at the East Shore church Thursday Night – standing room only! In a nutshell, we told attendees that PSE’s justifications for Energize Eastside have evaporated in the four years since the company initially proposed the project. Energy consumption has been flat, despite growing population. Assumptions that we need to send Canada large amounts of electricity in the winter time are exactly wrong. Canada provides us with substantial amounts of electricity, and that reduces strain on our infrastructure. Furthermore, battery technology has advanced much faster than anyone expected, and batteries can save us money, improve reliability, and reduce greenhouse gas emissions. Portland’s utility just announced a large battery project to benefit their customers. That’s just the tip of the iceberg of the good news, but I thought it would be helpful for people to hear a few of the things we discussed. I think everyone carried away a renewed hope that we will be successful in securing better solutions than what PSE has proposed.